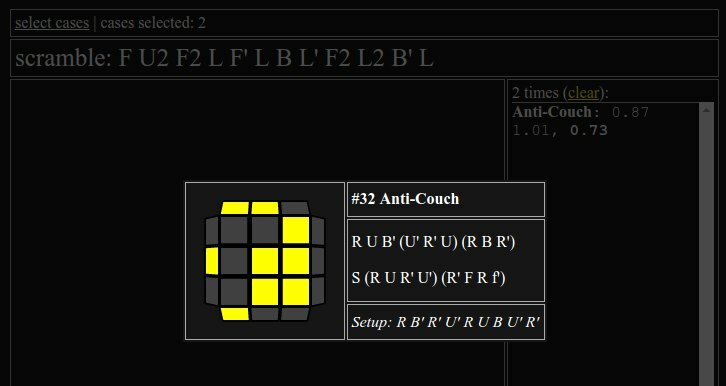 During the session, you can click on the case name to get the picture, the setup, the alg (from Feliks' cubeskills PDF) and an alternative alg. As always, there's a GitHub repository and, since it's pure JS, you can download the offline version. Many thanks to @Lars Petrus for the Birdflu website that I used for obtaining the algs and @Faz for the cubeskills where I actually learned the OLL (suggested algs are also from cubeskills). Feel free to leave your thoughts there and happy practicing! I've been using your ZBLL trainer and I love it! I've been wondering if an OLLCP trainer would be too much trouble. I'd help with this but I'm horrible with computers. You can now go through the selected cases once to rehearse them quickly. Thanks to Arsid for mentioning it in his reddit post and bugybunny for pointing it out on the GitHub. Should I also add this feature to the ZBLL trainer? 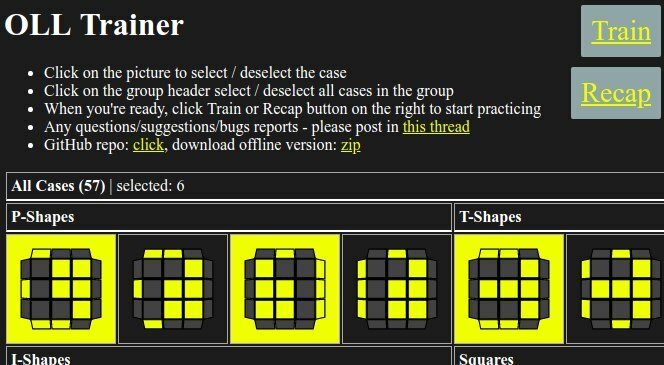 I really enjoyed using this trainer to learn and practise OLL, could we get programs for more alg sets like C(M/O)LL or VLS? 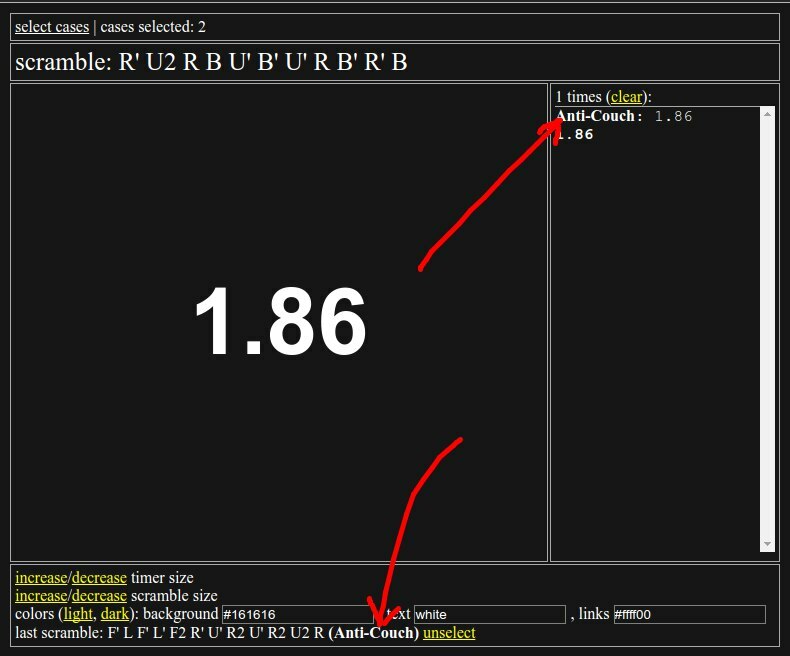 I'm learning WV at the moment and I really miss having a program like this to properly practise the algs I've learned.